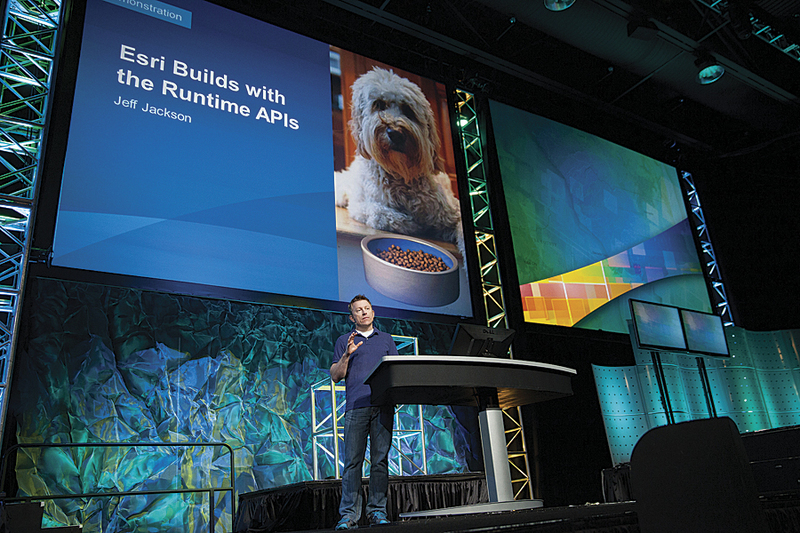 Jeff Jackson, who leads the applications development teams, emphasized that Esri builds applications using its own SDKs, or "eats its own dog food." Tech, code, and people: Esri program manager Jim McKinney used those three words to summarize the Esri International Developer Summit (DevSummit), held March 25–28, 2013, in Palm Springs, California. The nearly 1,600 attendees who came for the eighth annual event by developers, for developers, were the focus all four days. “You are the people who can think through what is needed and wanted,” said Esri president Jack Dangermond. To that end, Esri shares its development strategies—both immediate and long term—and best practices for working with Esri development tools. But DevSummit is more than a show-and-tell event. It brings those who develop with Esri technology face-to-face with those who develop it. Developers interacted directly with the more than 300 Esri software development staff who were available throughout the summit. 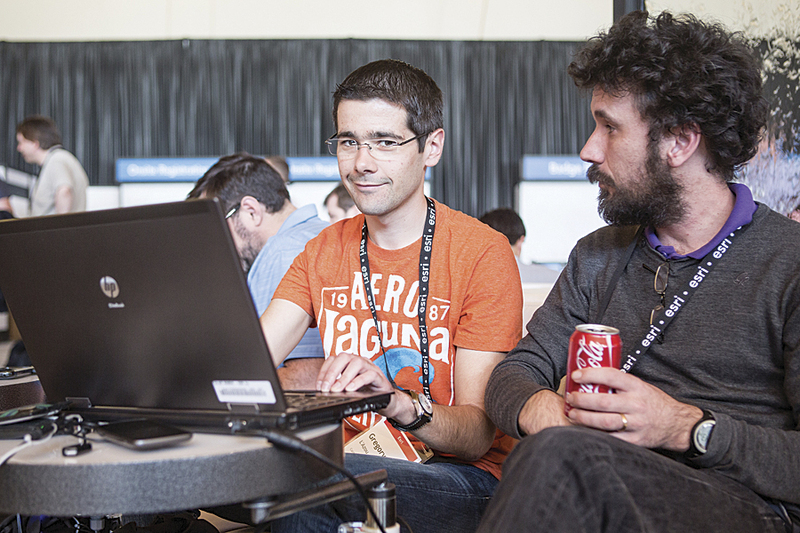 Attendees could show their skills at the Hackathon. Shorter and less formal tech transfer sessions continued into the evenings. In Speed Geeking, Esri staff gave five-minute presentations on various aspects of the technology to constantly changing groups of 8 to 10 attendees. Lightning Talks shared knowledge on a range of topics through rapid-fire presentations by attendees. Esri technology for dealing with Big Data was a wildly popular topic at DevSummit. Esri technology evangelist Mansour Raad introduced the newly released GIS Tools for Hadoop, which deal with the volume, velocity, and variety of Big Data by taking advantage of cooperative processing between Hadoop and ArcMap to spatially analyze, visualize, and interactively query billions of records. The extension lets ArcGIS for Server ingest real-time data from data sources ranging from Twitter to Sierra Wireless devices using connectors. Because many of these connectors will be available on GitHub, they can be tweaked to meet specific needs, or the software development kit (SDK) can be used to create custom connectors. Continuous processing and analysis are performed on events as they are received. 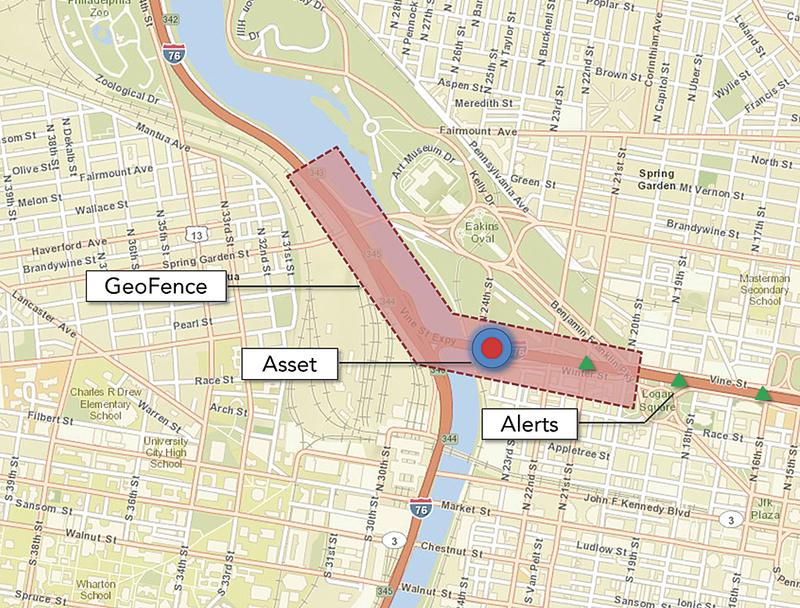 The stream processing logic can filter streams based on event attributes or the current location of sensors inside or outside an area of interest. Output can be integrated with operations dashboards or custom apps created with any ArcGIS API or ArcGIS Runtime SDK to use real-time data for more immediate response. 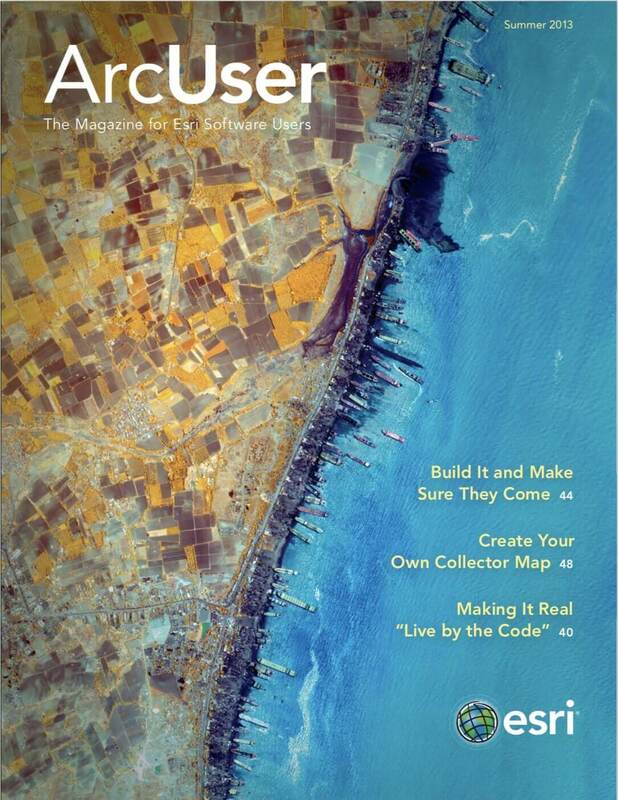 The release of ArcGIS GeoEvent Processor for Server with ArcGIS 10.2 was announced. It employs a new approach for helping discover the value of the flood of data being captured through sensor networks in real time. Esri developer Euan Cameron outlined the evolution of the ArcGIS Runtime SDKs and APIs, another piece of the Esri platform. These are a common set of technologies deployed to the desktop, embedded in systems, and used on phones and tablets. With the next full release of the ArcGIS Runtime SDKs and APIs this summer, functionality of the core will increase so more can be done when devices are disconnected from the online infrastructure or local server. Just what can be done with mobile devices at ArcGIS 10.2 was demonstrated by Esri Runtime SDK product engineer Will Crick. After accessing a map authored in the cloud using a modest smartphone, Crick put the device in airplane mode and then queried and edited data, performed reverse geocoding, and did some routing—all with the airplane icon prominently displayed on-screen. How was this possible? Data and functionality were downloaded to the device as a geodatabase implemented using SQLite. In addition, if connectivity becomes available, the device can be synchronized with the cloud. “We’re going to release this across all the Runtime SDKs at 10.2, and when we do that, we believe we’re going to be the first mapping API that has this offline capability,” said Crick. In his summit keynote, speaker Jared M. Spool observed that “the best products are made up of decisions, lots of decisions.” How the design decisions that affect interface design are made was the topic of his speech. The founder of the world’s largest usability research organization, User Interface Engineering, analyzed numerous examples from the web to show how each demonstrated one of the five styles of design: unintended, self-design, genius, activity focused, and experience focused. 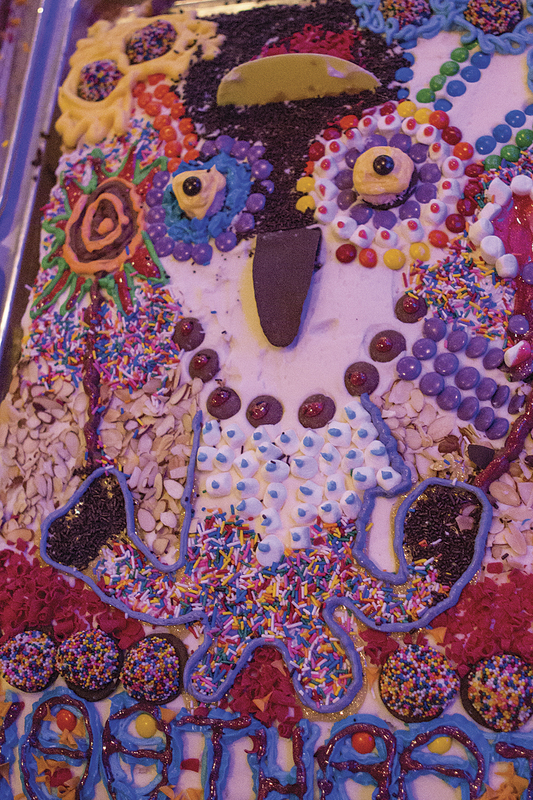 Conference diversions included a cake-decorating contest. Amber Case’s Plenary Session talk on location and the future of the interface focused even more precisely on developing effective interfaces for GIS applications. Case, former CEO of recently acquired Geoloqi and now head of the Esri R&D Center in Portland, Oregon, is deeply interested in the interaction of humans and computers. She noted that tools have evolved from being extensions of the physical self to extensions of the mental self. Unlike physical tools that retain the same size and function, mental tools are much less constrained and change form and function rapidly. Buttons on the interface move, morph, and—increasingly—melt away. With the addition of locational awareness, buttons may no longer appear on the interface because the user becomes the button. The user’s location triggers events. This makes interaction with the application far less intrusive because locational context lets the application anticipate the user’s needs and wants. 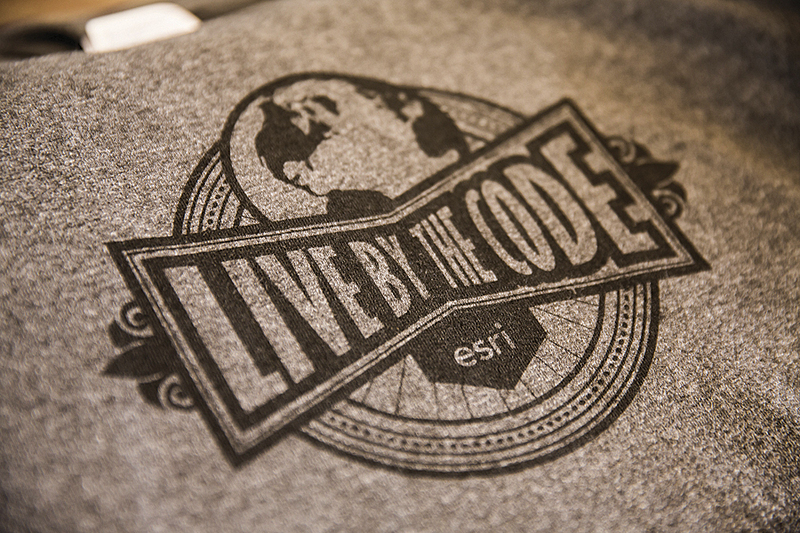 True to the summit motto, “Live by the Code,” the Esri DevSummit Hackathon kicked off festivities on March 24 at 1:00 p.m. With dinner and snacks provided, contestants toiled through the night in a large ballroom. They used the new ArcGIS for Developers website; Esri web and/or mobile APIs; and data from Riverside County, California, to come up with innovative location-based apps. The next day, weary competitors Christopher Moravec, Mara Stoica, and Ryan Colburn, creators of the Animal Spotter App, emerged as the winners and were rewarded with DevSummit passes. Michael van der Veeken and Paul Kaiser were second, and Christoph Sporri, Andry Joos, and Michael Faulcon were third. Good times, food, drink, and the famous Esri dodgeball tournament were on the agenda Wednesday evening. Much Ado about Balls topped 30 teams to win passes to next year’s DevSummit. 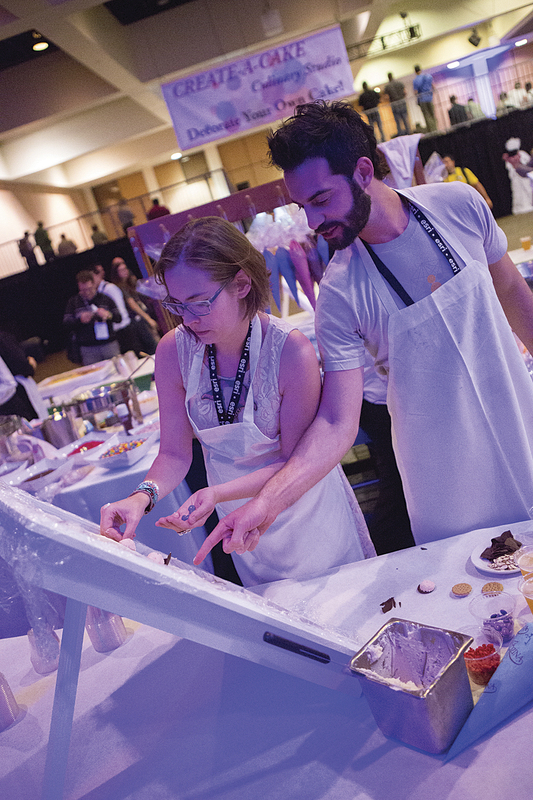 From a giant game of Jenga to a cake-decorating contest, attendees had a lot to keep them entertained throughout the evening. After a few final technical sessions and the closing sessions, Esri staff and developers alike headed home after an intense four days with a better idea of how to work together more productively.